This month we celebrate National Veterinary Technician Week! It is recognized as the third week in October. This year that is October 15th to 21st. What is a Licensed Veterinary Technician (LVT)? 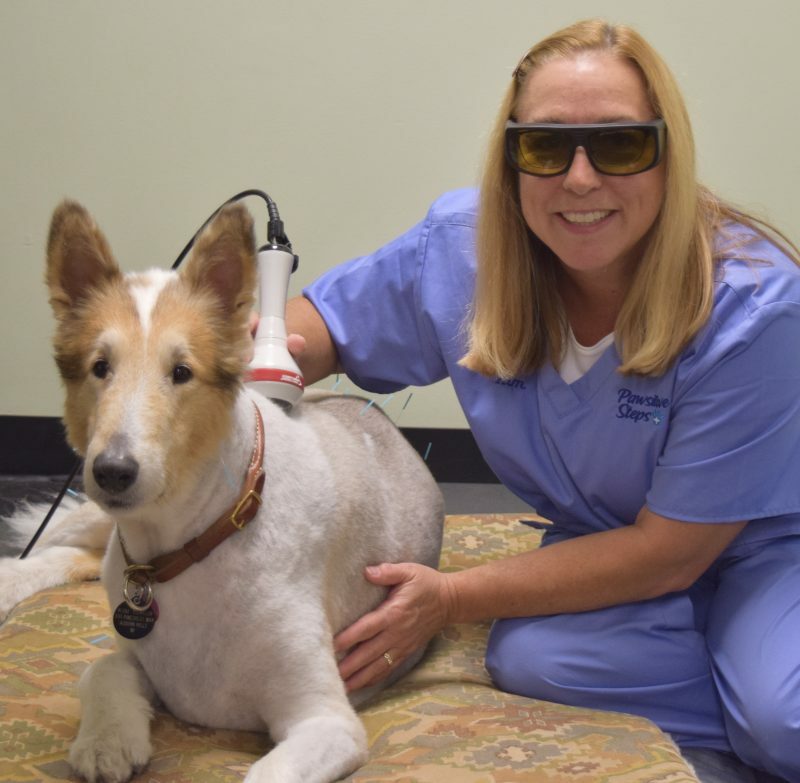 By definition, a Licensed Veterinary Technician is a person who has graduated from an American Veterinary Medical Association (AVMA) accredited veterinary technology program (usually 2 to 4 years) and passed their board exams. 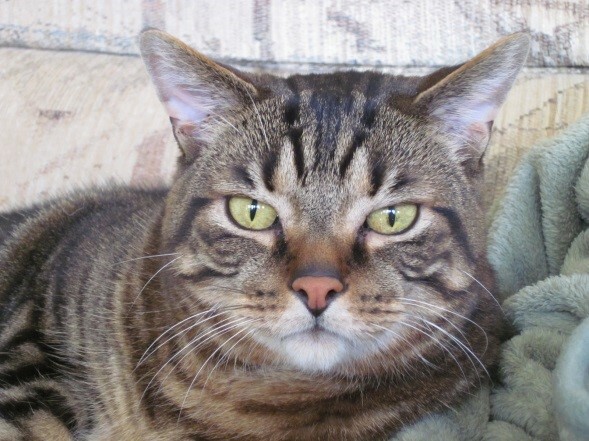 LVT’s work under the supervision of a licensed veterinarian. Licensed Veterinary Technician can also go on to specialize in at least a dozen different areas such as Emergency & Critical Care, Dentistry, Surgery, Behavior, Dermatology, Rehabilitation and Nutrition, just to name a few. Their jobs can be physically and emotionally demanding. One moment you can be working with a playful new puppy or kitten, the next you may be assisting with the humane euthanasia of a beloved pet. Often times you are lifting large dogs or crawling around on the floor. It is not a career for the faint of heart! Please take a moment to say “Thank You”, “I appreciate you” or “You do a great job” to your veterinary technicians as we celebrate these special people. They deserve it and a whole lot more! 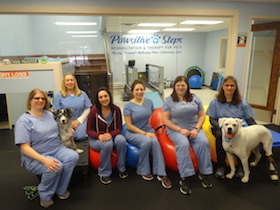 Meet the Veterinary Technicians at Pawsitive Steps Rehabilitation! Cathryn has been a licensed veterinary technician for 4 years, but was an assistant for 9 years before she became a technician. The veterinary field is very unique and always changing with new advancements. Rehabilitation has allowed her to specialize her training. The most rewarding aspect is helping her patient’s quality of life and supporting the bond between the pet and their family. 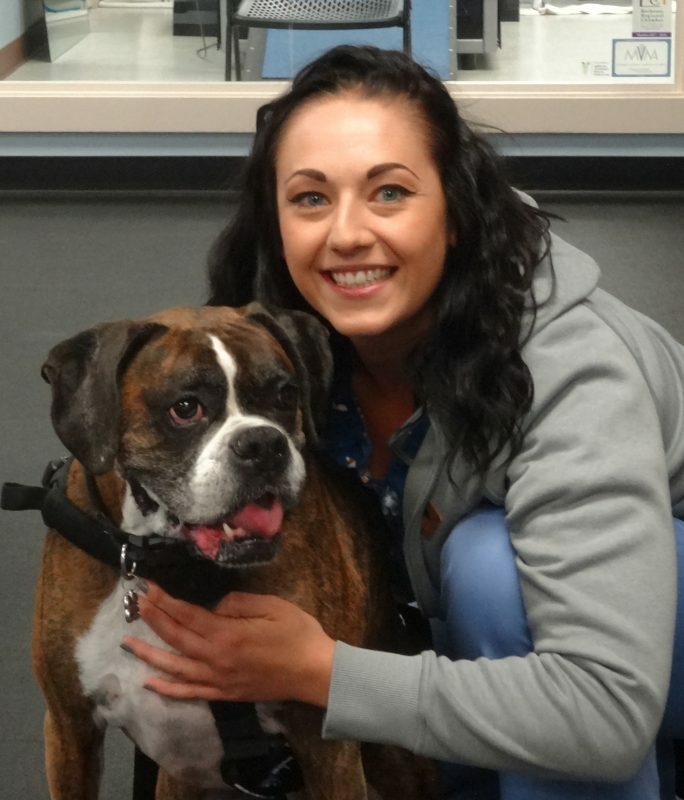 Janelle has been a veterinary technician for 1 year. She found her passion for animals while completing a degree in psychology. But once she started down the path to becoming a technician, she never looked back. 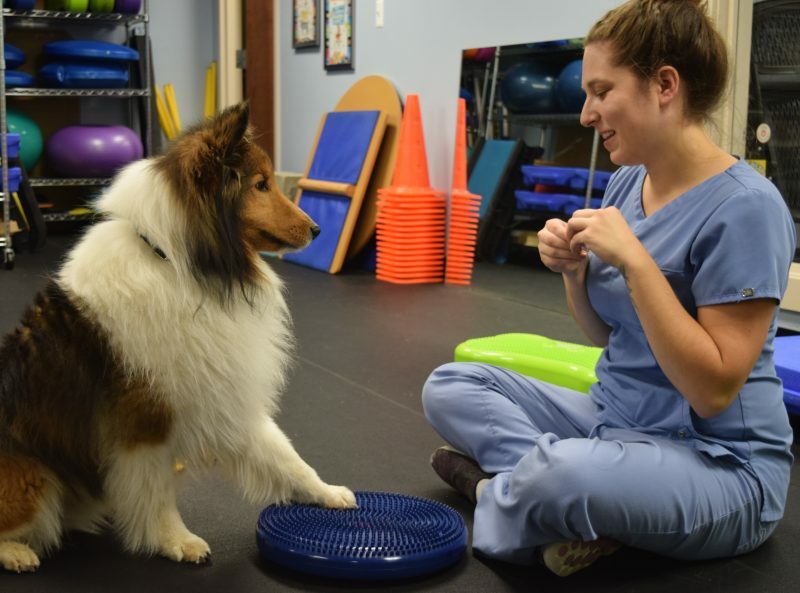 Her favorite thing about veterinary medicine is that the field is always advancing, and there is always something new to learn to help her patients on their road to feeling better. Jennie graduated from Baker College of Clinton Township’s Veterinary Technician Program and became a licensed veterinary technician in 2011. She has worked in several general practice clinics and an exotic practice in the metro area. She has a chocolate Lab, 2 cats (one who receives acupuncture for his glaucoma), a white dove, 4 goldfish, 5 land snails, and a husband. Why I became a Vet Tech- For as long as I could remember I have always loved animals and wanted to work with them when I grew up. When I was a senior in high school I found out about becoming a licensed veterinary technician and I knew that was that I wanted to be. I love being an advocate and speaking for my patients. I also love building relationships with my clients and helping them build stronger relationships with their pet. 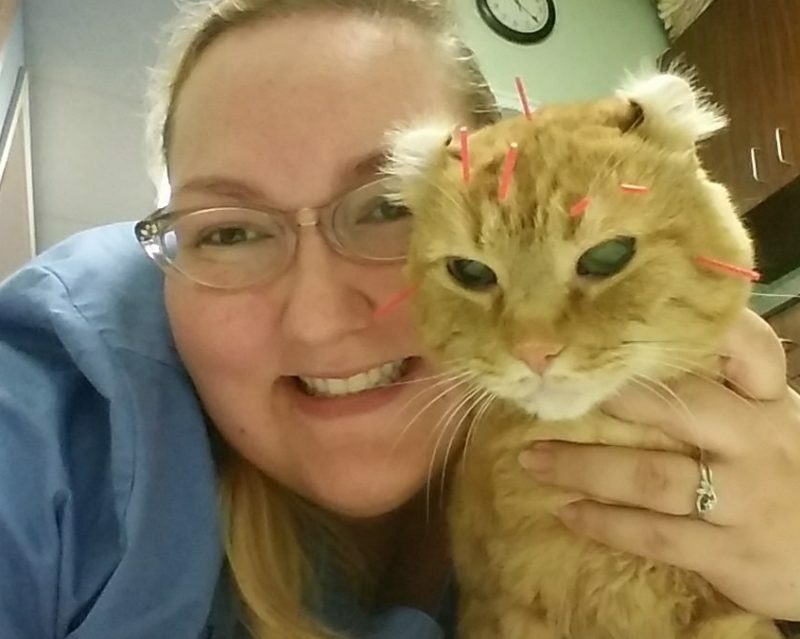 Angelia has been a veterinary technician for the past 4 years. She has worked in general practice and emergency medicine but has always had passion for rehabilitation. 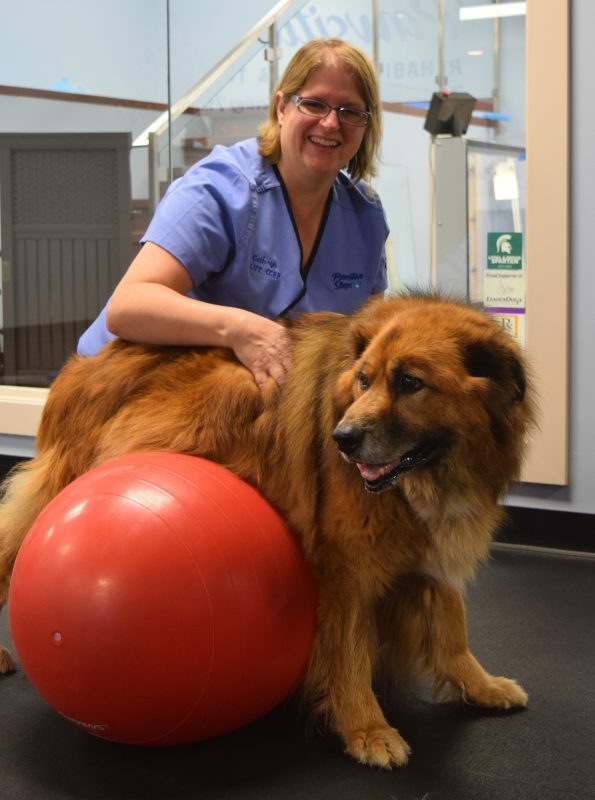 The thing she loves the most about rehabilitation is providing the care and attention to the patients that may not always be available elsewhere. Being able to experience and see the improvement in the patients every day is extremely rewarding. “For me, I feel like I have made a difference for the patients, by providing care to help them live longer healthier lives”. Kim has worked in the veterinary field for over 30 years as a receptionist, veterinary assistant, and office manager. 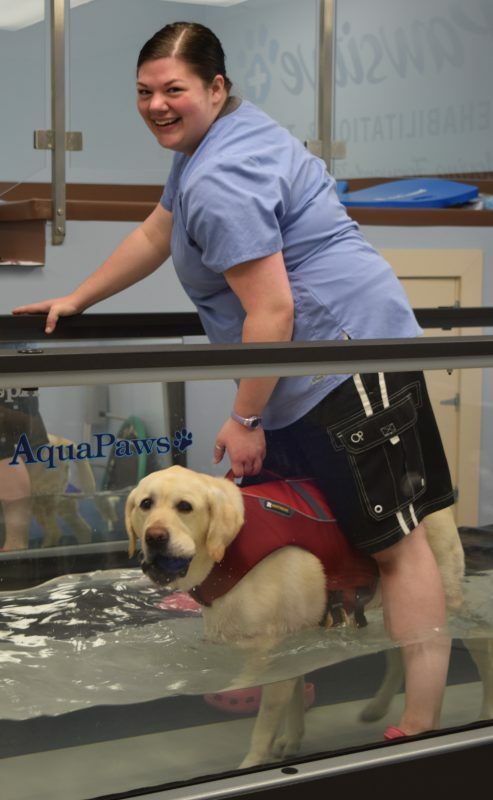 She just celebrated her 4 year anniversary here at Pawsitive Steps Rehab! She knew from a young age that she wanted to work with animals and landed her first job at a veterinary hospital just after high school. A few years ago I noticed that George, my 15 year old cat, was no longer sleeping on my bed. He wasn’t lying on my lap as often when I watched TV and I also noticed that he was using the litter box on the main floor much more than the ones in the basement. These were subtle changes in his behavior, but what was causing it?